Company – Summit Anchor Co. 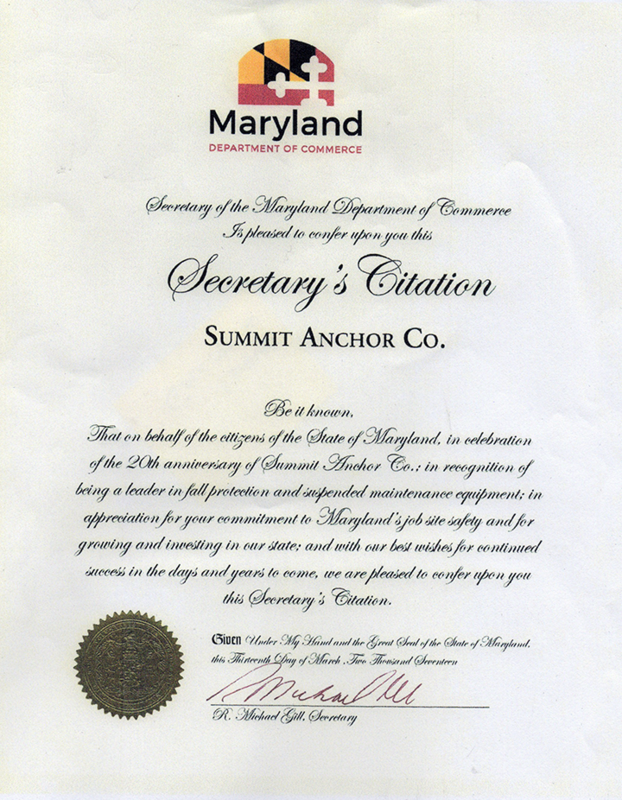 Summit Anchor Co. is an industry leader in fall protection and suspended access systems. From design and consultation, to installation, to testing and certification, Summit Anchor ensures that architects, engineers, facility managers and owners comply with OSHA requirements for building fall protection systems used by window cleaners and other suspended maintenance workers. We’re known for our rooftop anchors – drop forged, quenched and tempered and able to withstand 5,000 pounds without adverse effects. But we’re so much more than anchors. Find out what impels us to put safety first at life on the edge.